State-of-the-art eye clinic specialising in cataract surgery, vitreoretinal surgery and macular disease. At Blink, we believe good communication with patients is essential. We pride ourselves on treating each of our patients as a unique individual. We spend time informing our patients thoroughly, patiently listening and answering any queries or concerns. An essential aspect of Blink is to create an environment where patients feel comfortable and cared for. A place where they feel relaxed knowing that they’re in good hands. Friendliness is a key component to healthcare. It’s amazing how much a warm smile can help patients who might be otherwise feel vulnerable and anxious. It costs nothing but gives much. Picture: Dr Richard Barry with his daughter, Emiliana. 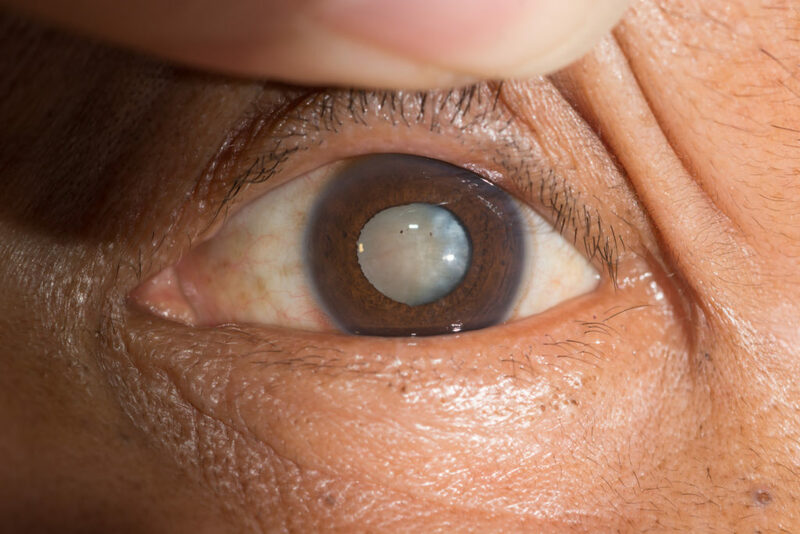 Cataract is a clouding of the natural lens in the eye. More than half the population will develop cataracts by 80 years of age. Symptoms include blurred vision, halos around lights, glare, double vision and difficulty seeing and driving at night. Cataracts are most commonly due to aging but can occur for other reasons and in the younger population too. Early cataract can often be managed with an updated prescription but surgery is the definitive treatment as the cataract progresses. Thankfully, modern technology means that cataract surgery is safe, quick and provides excellent results in the vast majority of cases. The surgery is performed as a day-case, inpatient procedure generally under local anesthetic. The whole process of admission, surgery and discharge takes a few hours and visual recovery is often within hours. Modern advances in intraocular lens technology means that patients can often have minimal to no dependency on glasses after surgery. Cataract surgery is truly a life-changing procedure for many patients and surely one of the greatest advances in modern surgery. Macular and retinal disease are very common today. The most common conditions include age-related macular degeneration and diabetic retinopathy. The increasing aging population, as well as the increased rates of diabetes, means that macular and retinal disease is becoming ever more common. Much research and funding has gone into developing treatments for these conditions, as well as public health projects to increase awareness. The most significant advance in the treatment of macular disease arrived in 2006 with antiVEGF intravitreal injections. Prior to this laser treatment was often the only option for selected cases. Now many patients who would have otherwise been blinded by their macular disease can retain good vision for many years with antiVEGF therapy. Although, understandably, the thought of an eye injection seems distressing to most people, patients can be reassured that the procedure is safe, fast and almost completely painless, often with rapid improvement in vision. Modern intravitreal therapy for macular disease is, without doubt, one of the greatest advances in modern medicine. Vitreoretinal disorders are diseases in the posterior segment of the eye related to the interaction between the vitreous and retina. The most common conditions include vitreous detachment, retinal detachment, epiretinal membrane and macular holes. Many vitreoretinal disorders unfortunately have a profound effect on vision and require prompt treatment to prevent permanent visual loss. Modern advances in vitreoretinal surgery technology have improved visual outcomes for patients with these conditions. Vitrectomy surgery is now performed with microsurgical instruments through small gauge ports allowing for minimal ocular trauma and more rapid visual recovery. Glaucoma is associated with damage to the optic nerve at the back of the eye. One in 10 people over 80 have this disease. Many people unfortunately remain undiagnosed. It is known as the "thief of sight" as it often leads to asymptomatic peripheral visual field loss initially. Patients are unaware of any disease progression in many cases as they do not feel or see any difference. Central visual loss in glaucoma is most commonly in the advanced stages of the disease. Ongoing monitoring with your eye care provider is essential if there are any early signs or risk factors for developing the disease. There are two types of glaucoma: open angle, the most common type, and closed angle which is less frequent. Rarely, acute glaucoma can cause a rapid rise in pressure with loss of vision and significant eye pain. This is an ocular emergency. Again, like other ocular conditions, there have been advances in the treatment of glaucoma and most people, thankfully do not suffer any loss of vision from this disease when it is monitored and managed appropriately. Most treatments involve eyedrops or gentle laser treatment, with surgical intervention required only in a small percentage of cases. Cataract is a clouding of the natural lens in the eye. 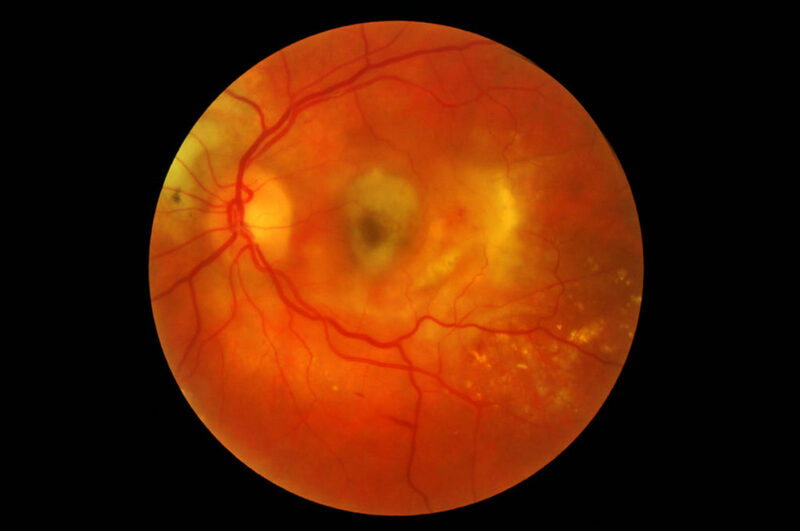 Age-related macular degeneration leads to atrophy and scarring of the central macula. Call us on 02 51040929 or email hello@blink.clinic Prepare for your visit. Copyright © 2019 Blink Eye Clinic. All rights reserved.